A lot of people at various job levels are asking: will robots take my job? Robots, Artificial Intelligence (AI) and automation are terms often used interchangeably. All around, we see machines slowly taking up relatively complex and sophisticated jobs. Naturally that worries people. Even when you ask will robots take my job, you need to understand these concerns are not new. These concerns of artificial intelligence or robots taking over jobs date back nearly three quarters of a century. As said earlier, robots and automation are not concepts that are exclusive to the 21st century. By the 2nd world war, it was becoming apparent that machines and industrial robots were capable of taking up certain tasks earlier done by humans. 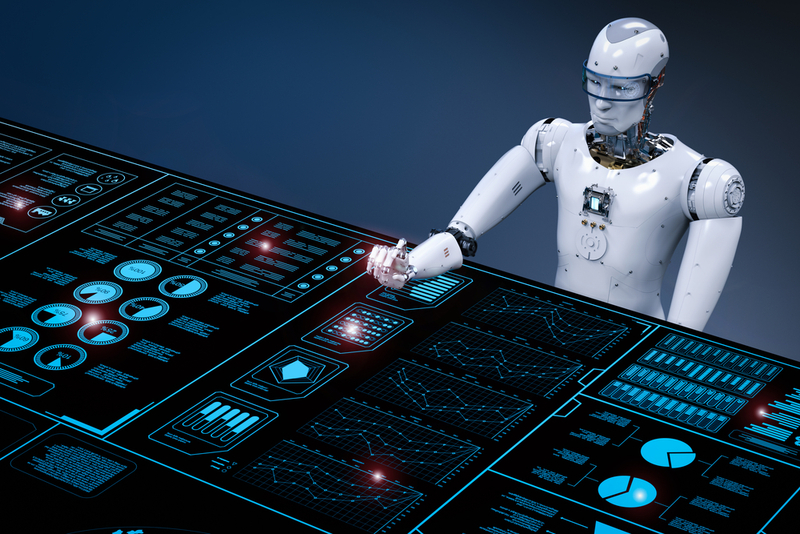 The traditional definition of robots and automation means machines, industrial robots, integrated computer systems and codes performing repetitive, high-precision tasks or exhausting that may occasionally involve calculations of pre-defined nature. Machines, industrial robots and integrated computer systems and codes: These are the so-called job-snatchers. They perform the tasks that were earlier carried out by humans. These tasks range from simple ones like labeling products to more complex tasks in Quality Control (QC). Repetitive, high-precision tasks: Humans lose concentration while carrying out repetitive tasks. That’s why they end up making errors in high-precision errors. Or their speed drops considerably. Either way, it’s a loss of productivity. Robots don’t have these shortcomings. Exhausting tasks: If a task needs a great deal of strength on the part of the employee, there could be a higher percentage of on-job accidents and safety issues. Robots are virtually immune to accidents. Additionally, robots can perform in very high-temperature (e.g. metallurgy operations) or high atmospheric pressure (e.g. undersea). If humans work here, it would be very expensive, due to the specially designed suits and apparatus they might need. Modern automation and robots means an integrated system of computers and machines that are capable of learning from their own experiences, gradually becoming competent to carry out tasks that require problem-solving, visual or auditory perception, speech recognition, decision-making and interaction skills, in addition of all the complex but repetitive tasks 20th century robots were capable of. Learn how technology and automation is shaping the fashion industry. Learning from their own experience: A search-engine bot is a basic but good example. For instance, over time the search-engine bot learns to associate mozzarella with pizza. Visual or auditory perception: Speech to text Google docs typing basically takes away the last of stenography jobs. With machine learning, they grow to learn your speech and accent. Interaction skills: When you visit a website and the pop-up invites you to chat, you’re likely not talking to some ‘Janet’, ‘Arthur’ or ‘Razia’. There’s a chatbot doing the talking. It’s a chatbot coded after the software designer fed the bot with examples of all previous interactions between a customer and a human executive. Notice these skills were considered exclusive human domain, no matter what. No longer so. So in a small way, you were justified in repeating the question ‘Will robots take my job’? Now you know why everyone is asking the same question: will robots take my job? What are the statistics on the question: will robots take my job? We aren’t the first one trying to answer the question will a robot take your job. And we certainly aren’t the last ones either. Firstly, let’s look at some studies. Capgemini conducted a study and its conclusions suggest automation, robotics and AI are probably creating more jobs than they are killing. Your concern ‘will robots take my job’ doesn’t sound that bad. Conversia, the company that makes AI assistants, says the American outlook to AI is bullish and that Americans have positive opinion about AI. Can you spot fake TripAdvisor reviews? Gartner says AI may remove 1.8 million jobs by 2020, but will create 2.3 million jobs by the same time. In other words, AI will create half a million more jobs than it will eliminate. These reports make irrelevant questions like will robots take my job or will AI replace jobs. The bad news is your worry of will robots take my job is real and immediate. The good news is it’s going to be a change of job and duties, and not really a loss of jobs. The converse side of the story, as presented by McKinsey, says 3 out of every 5 jobs have a scope of as much as 30% automation. Put differently, this means 30% of automation is possible in 60% jobs. That translates to a straight 18% automation (30 percent of 60 percent). If you look at from the pessimistic point of view, about 1 in every 5 jobs is likely to disappear due to automation. What can you do about robots taking over jobs? Firstly, AI is a reality and it’s not going away because you don’t want it around. Will robots take my job is something to plan about, not worry about. And secondly, there’s a huge reason for automation, robots and AI to be around. The same McKinsey report says that jobs that pay $15 trillion in wages have the potential to be automated to varying degrees. That means there’s going to be huge pressure on jobs. But here’s some sound wisdom from a 1966 report: Jobs are going away, work isn’t. Which means there will always be work to do, no matter what. 1. Learning must never stop. It’s important you realize learning and skilling aren’t perishable or finite. They don’t come with a use-by date. Make sure you keep learning on a daily basis. That itself is a big immunity against a robot stealing your job. 2. Knowledge labor isn’t the same as manual labor. Yes, a lot jobs, especially those requiring a little or extensive physical efforts but offering no value addition, are disappearing. Don’t forget manual labor can easily be substituted – and sooner than you think. Knowledge labor cannot be substituted, neither fully nor immediately. Like what you just read? Why not connect with us over Facebook? Or how about following us on Twitter? Moving a pile of cola cans from one corner to the other of a store is a task. Helping sell those cans is a career. It’s best not to confuse the two. Focus on jobs where you add value and make a difference in the outcomes. Finally, go out with an open mind and be ready for jobs that are more creative and challenging. Stop worrying will robots take my job and take action. Wagons put horse-cart drivers out of jobs. Machinations put farm hands out of jobs. ATMs put many tellers out of job. Yet, for those who were willing to adapt, newer jobs were always available.